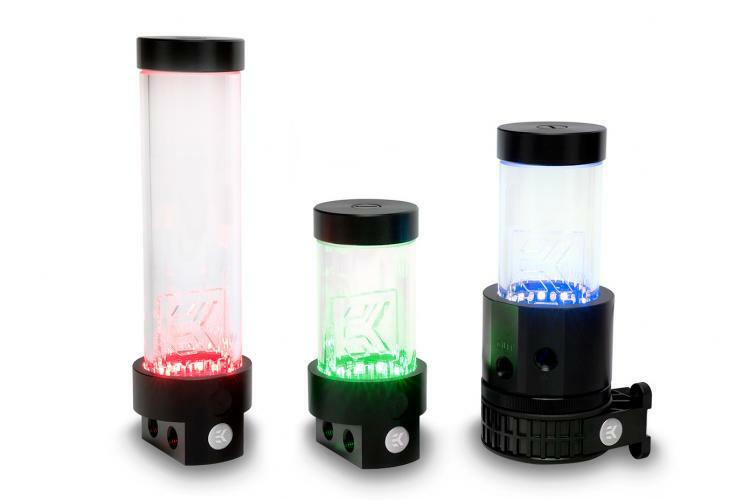 EK Water Blocks introduces new RGB-lit combo units including one EK-XRES Revo combo unit and two EK-RES X3 reservoirs. 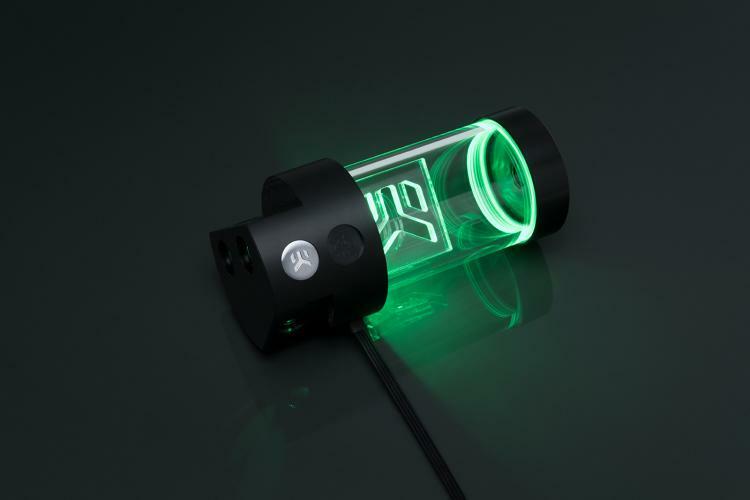 The new combo units sports 4-pin RGB LED strips offering RGB lighting that’s compatible with most mainstream RGB controllers found in motherboards such as ASUS Aura, GIGABYTE RGB Fusion and MSI Mystic Light as well as other RGB lighting controller hardware. 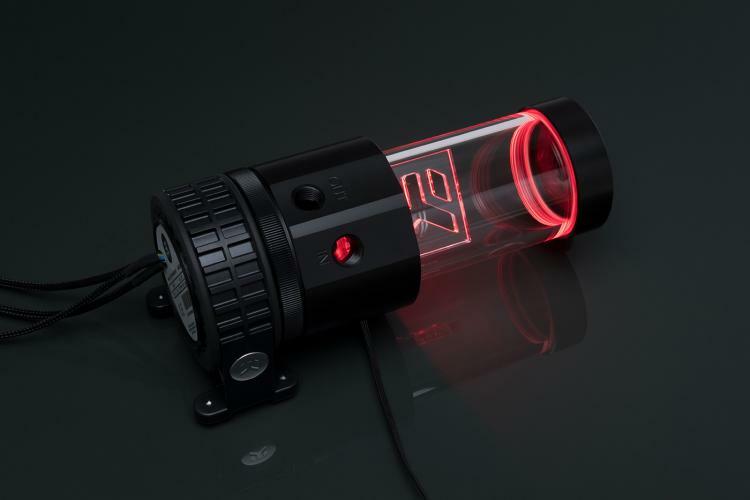 The EK-XRES 140 Revo D5 RGB PWM is a pump-reservoir combo featuring a 140mm tall cylindrical reservoir integrated with Xylem D5 series water pumps. Its top offers increased hydraulic performance (up to 15%) compared to stock solutions. It also features a fully rounded design so it can be installed with 360-degree rotation allowance. These two are cylindrical standalone reservoirs in 150mm and 250mm lengths with a diameter of 60mm. The reservoirs sport POM Acetal end caps in black color and have a total of six G1/4” ports. The number of inlet/outlet port configuration options on these reservoirs and the simple but effective mounting kit make the loop building a straightforward process. 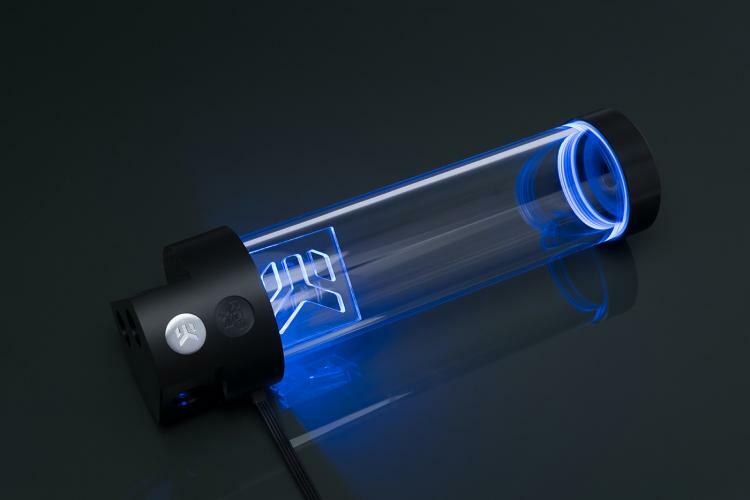 The capacity of the EK-RES X3 150 RGB variant is around 240ml, while the EK-RES X3 250 RGB variant can hold around 440ml of liquid.